← “I would go out tonight, but I haven’t got a stitch to wear”……..YET! 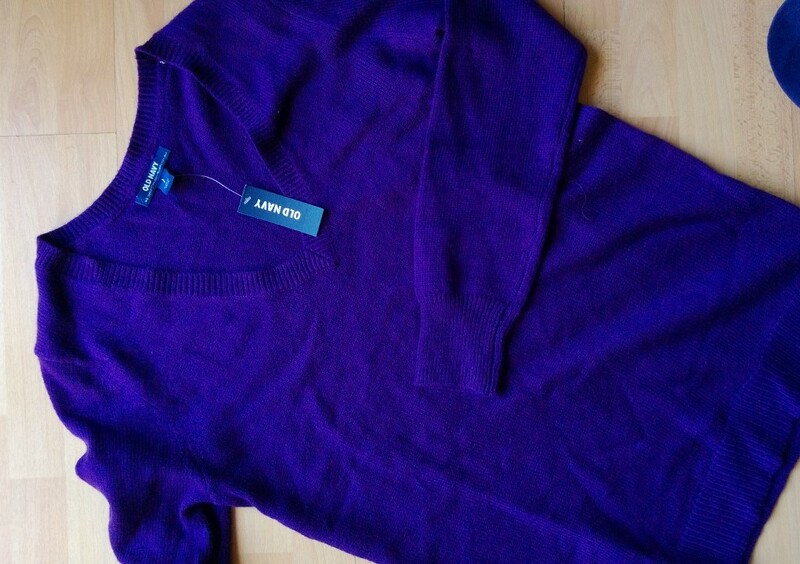 When I bought the grey sweater I altered in Mixing It Up, I also got a purple and a turquoise (I think it was Buy 2, Get 1 Free). Last year, I attacked the purple one with my shears, cutting the V-neck into a scoop neckline, and cutting off the cuffs. I used a turquoise knit from the nightmare pile stash to finish off the neckline, and make some extra long cuffs (knuckle length). 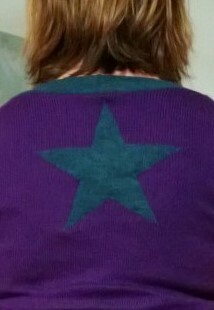 Inspired by a sweater I bought a while ago, I also added a star on the back. 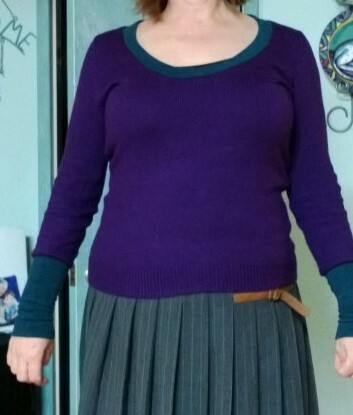 It was much easier than I expected – I thought the sweater would stretch, but I used some knit interfacing inside and sewed with a wide zig-zag and it was fine. So, fast forward to this winter, and I realized that I’m rarely cold enough to wear a long sleeved sweater. Time to get the shears out again! Yep, definitely more useful for me! 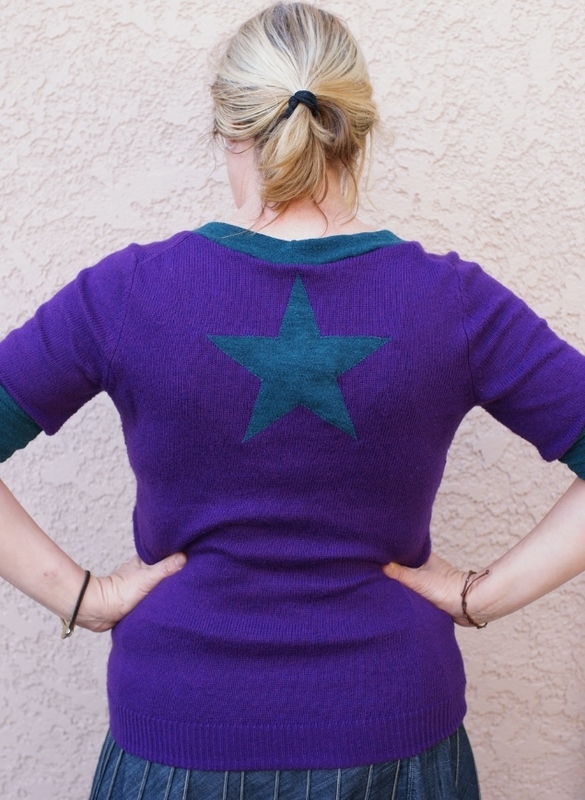 Posted in Uncategorized and tagged sweater recycle, sweater restyle. Bookmark the permalink. Sharing the same jeans/genes ? Hungry for a new shirt – out with the Toaster! That’s never going to work! “I would go out tonight, but I haven’t got a stitch to wear”……..YET! The Good, the Bad, and the Frustrating! FabricHoarder on Save the Dress! Linda of Nice dress!… on Save the Dress! Helen on Save the Dress!